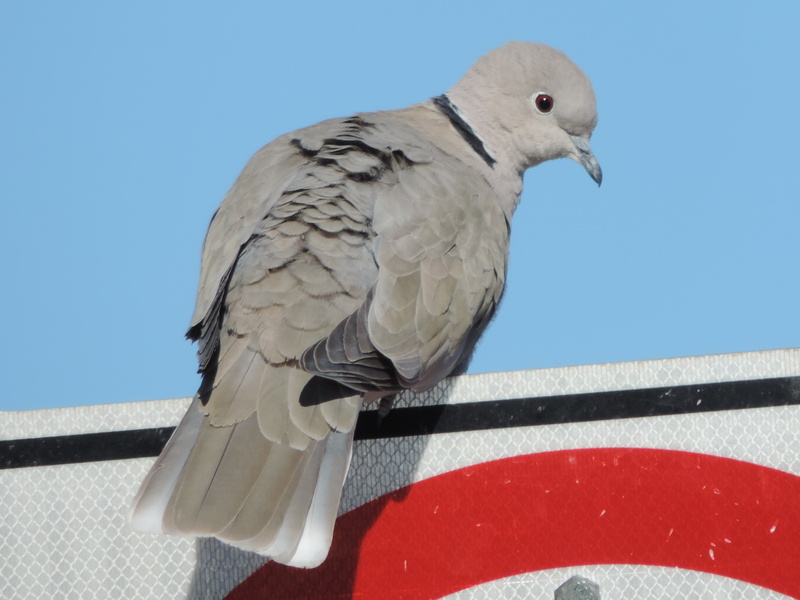 This dove was photographed at Lake Havasu City, Arizona on January 16, 2014. It has a black ring around the back side of its neck. The camera used to produce this photo was a Nikon Coolpix P520.